Dr. Daniel Davidian, Founder of Anutra Medical, to receive award for developing revolutionary technology in the medical field, from William Shatner on "Moving America Forward". LOS ANGELES - Jan. 25, 2017 - PRLog -- "Moving America Forward," is excited to announce the upcoming appearance of Dr. Daniel Davidian, Founder, Cameron Perkins CEO and Ryan Vet, Director of Sales and Marketing of Anutra Medical on our show next week. Anutra Medical is a service for clinicians that betters patient care in individual practices and around the world. An innovative leader in the medical field, Anutra combines patient experience and practitioner efficiency. Anutra's groundbreaking products enhance patient visits by reducing felt pain and shorten procedure time, thereby increasing the efficiency of practitioners. 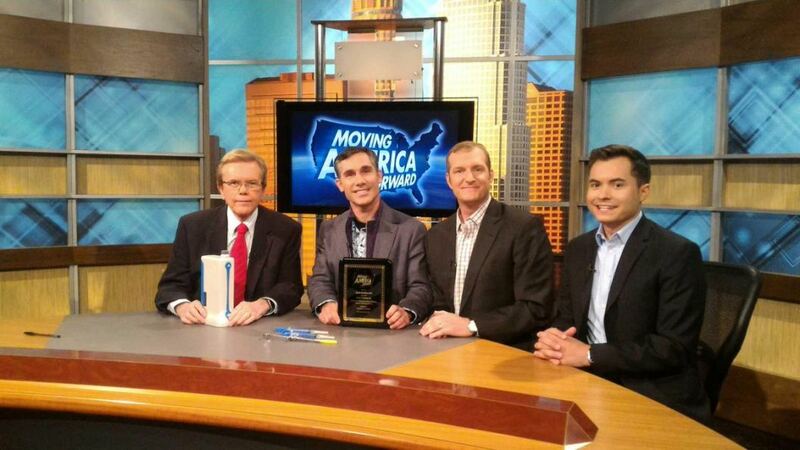 Dr. Davidian, Perkins & Vet, were interviewed at the Los Angeles "Moving America Forward" news studio by William Shatner and Doug Llewelyn. They discussed in further detail the products offered by the company: the Anutra Dispenser, Cassette and Syringe to name a few. Each product is designed to simplify the process of buffering (neutralizing) local anesthetic. For those unaware, local anesthetics are the backbone of pain control in dentistry. Though local anesthetics are the safest drug in medicine for the management and prevention of pain, Anutra's products ensure patient numbness more reliably and quickly. For example, the use of Anutra products adds up to two hours of extra chair time a day for dentists all over the country. In addition, they will speak about Anutra's use of artificial intelligence and a learning algorithm for the company's real-time data analytics Training System. Anutra's products are already fast, but this system quickly trains customers and their teams to best utilize these processes. Within a year of launching their products, a quarter million injections have been given and approximately $10 millions of chair time has gone back to the dental industry. In recognition of Anutra Medical's growth and performance, Mr. Davidian will be honored with the "Moving America Forward Award." To be a part of this achievement, tune in to Biz TV at 11am on Sunday, February 5, 2017. Anutra Medical will be an exhibitor this week at the Yankee Dental Congress in Boston, MA from Thursday, January 26 to Saturday, January 28. If you are in the Boston area and would like to attend, please visit Anutra Medical at booth 1819. For more information on Anutra Medical, please visit http://www.anutramedical.com (http://anutramedical.com) or call 1.844.ANUTRA.1 today.